The sheer number of federal regulations is staggering. The Obama administration added over 81,000 pages in 2016 alone. And that is just federal regulations, not included are the myriad of state regulations added each year. If you listen to bureaucrats and politicians, as well as the people who make excuses for them, these regulations are necessary to protect consumers and the environment. Without government intervention, we’re told, we couldn’t possibly expect greedy businesses to play fair and not exploit their customers. Unfortunately, the truth is a lot less flattering. Most of the time, economic regulations are a written to protect crony industries and businesses at the expense of consumers and their tastes. Take this story from FEE out of Wisconsin. Kerrygold, a very popular brand of grass fed butter, is being taken off the shelves due to an old and largely forgotten state regulation requiring any butter to be sold commercially to be approved by a state panel of “butter experts.” No, I’m not making that up. What’s the problem with Kerrygold butter? It seems the only problem is that Kerrygold is a successful and popular foreign company, uncontrolled by the very powerful and politically connected Wisconsin dairy industry. For their part, Kerrygold is working with the state to get their butter back in stores. This means revamping their processes to comply with the regulations; an expensive process that assuredly will be passed along to the consumers in the form of higher prices. And that’s the point of economic regulations: protect politically connected local industries from external competition. In this regard, regulation and licensing laws work hand in hand. Years ago, economist Henry Hazlitt wrote that one has to judge an economic policy not by it’s intentions, but by it’s unseen, unintended consequences. It’s time to start seeing government economic regulations the same way. I don’t agree with Piers Morgan very often, but he absolutely nailed the Trump Derangement Syndrome of the hypocritical Hollywood left here. A few days ago, I touched on the schism within the liberty movement between pragmatists and radicals. As important as this split is, it really is more of an internal Libertarian Party issue. The more relevant split in the liberty movement at large is between thick and thin libertarians. To understand what a thick libertarian, is it helps to know what a thin libertarian is. A thin libertarian is one who believes in the NAP (Non-Aggression Principle) and the private property norm. That’s it. On the other hand, a thick libertarian, is one who, in addition to the NAP and private property norm, usually seeks to add extra conditions to libertarianism, such as social justice ideals and egalitarianism. It isn’t enough to simply agree with the NAP and private property norm, to be libertarian means you also must be anti-racism, anti-discrimination, etc. At first this sounds great, after all, who could be against those things? The problem comes when you think through the consequences of enforcing those ideals. With thick libertarianism, it is inevitable that individual rights will come into conflict. For example, who’s rights prevail when a Christian baker refuses to bake a wedding cake for a gay couple? To a thin libertarian, the baker’s rights win out as the baker owns his shop and his labor (due to the NAP and private property norms). For a thick libertarian, though, the gay couple’s rights prevail due to their ideal of anti-discrimination, effectively negating both the NAP and private property norms, as force must be used against the baker to enforce the rights of the gay couple. Both in practice and theory, any ideology where basic rights conflict becomes arbitrary. It is literally self-defeating. Here it is important to make clear what libertarianism is, as well as what libertarianism isn’t. Properly understood, libertarianism answers the question of when it is necessary to use force. It is fundamentally a political and ethical philosophy, not a moral philosophy. Neither the NAP or private property norm say anything about what one should do, only what one shouldn’t do. Thus, so long as an action doesn’t violate the NAP or private property norms, it’s acceptable. That is a different question than whether something is moral or immoral. That’s a cultural question, not a political one. We cannot expect to remain principled if we fail to understand that distinction. It’s President’s Day today in America. What started as a nod to George Washington’s birthday, has become a national holiday to celebrate some of the most awful, megalomaniacal men in our nation’s history. One of the most obvious failings of the public school system is how utterly misled and misinformed Americans are regarding the truly terrible things perpetrated by the political class. Often times, the more sacred the cow, the worse the actual behavior.Take Lincoln. Widely regarded as one of the greatest U.S. presidents, the tyrannical deeds of Honest Abe can hardly be understated. Though Lincoln is hardly alone in this regard; FDR, Wilson, and G.W. Bush are historically bad. So instead of using today to honor some fictitious record you were sold in public school, take 30 minutes to listen to this Tom Woods podcast for a real history lesson. The liberty movement has seen an explosion of growth in the past 10 years. The presidential campaigns of Ron Paul in 2008 and 2012 woke up a new generation to the ideas of personal liberty and non-interventionism. Gary Johnson, the Libertarian Party nominee for president in 2016, received almost 4.5 million votes, a four fold increase from 2012, albeit in an election year with two historically hated candidates. Libertarian Party state memberships are up and ballot access issues are improving across the country. Still, there exists sharp disagreements on tactics and vision for the movement going forward. Here it is important to distinguish between a movement and a party, as well as between big L and small l libertarians. Those things are definitely not the same. The Libertarian Party (LP), as effective a vehicle for liberty as it can be, does not own liberty or the liberty movement. There are all types of libertarians in the movement, even some that are entirely apolitical and abstain from voting on moral and ethical grounds, yet still seek to advance the liberty movement through education and individual activism. One of the main schisms in the liberty movement, is between the pragmatists and the radicals. Right now the pragmatists are winning, as the nomination of soft libertarian Gary Johnson and the truly horrible Bill Weld shows. While I disagree with the argument of moderating some principles for political gain, i.e. supporting public accommodation laws to broaden support leading to inclusion in the presidential debates, I’m not entirely unsympathetic to it. The problem is that it flat out didn’t work. In an election year where the LP should easily hit 10-15 percent in the national polls, the blundering Johnson received 3.2%. In addition to weakening libertarian principles, the LP and the Johnson campaign are seeking to redefine what it means to be a libertarian. A libertarian is not “socially liberal and fiscally conservative”. 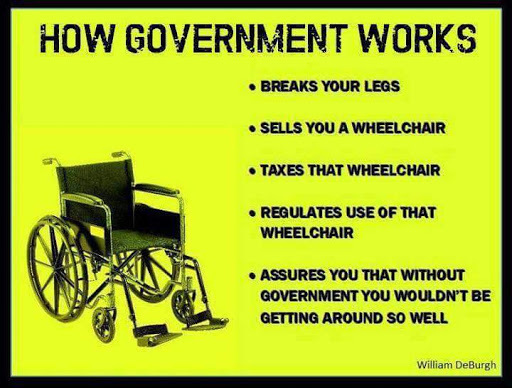 That is a horrible simplification of what libertarians believe and leads to all sorts of errors. A libertarian believes in strong private property rights, the cornerstone of which is self-ownership, and the non-aggression principle, the basic understanding that you don’t hurt people and you don’t take their stuff. Public accommodation law is socially liberal, but it isn’t a libertarian principle because self-ownership means the right to discriminate. The religious baker shouldn’t have to bake a gay wedding cake, or any other type of cake for that matter, because no one has a right to fruits of the baker’s labor. Calling the baker homophobic misses the point. This isn’t a defense of homophobia, but support for private property and self-ownership. They same case can be made regarding all kinds of fiscally conservative principles, as well. A proper definition of libertarian principles is vital if the movement is to move forward and educate people. If we continue to spend our time pushing a false doctrine of liberty, we shouldn’t be surprised when the movement is co-opted by authoritarians, either from the left or the right.